Flare reveals she is an adopted resident of Sun Village, evidenced by her new emblem. Angered by the village’s frozen state and Sylph Labyrinth’s callous effort to steal the Eternal Flame, Flare fights the treasure hunters alongside Lucy and Wendy. After the girls’ attacks send the hunters flying out of the village, Lucy and Wendy accept Flare’s offer to help guide them to the Eternal Flame. Later, Doriath finds Gray and turns him into a child, causing Gray to relive his traumatic memories of Deliora upon seeing the monstrous Doriath. 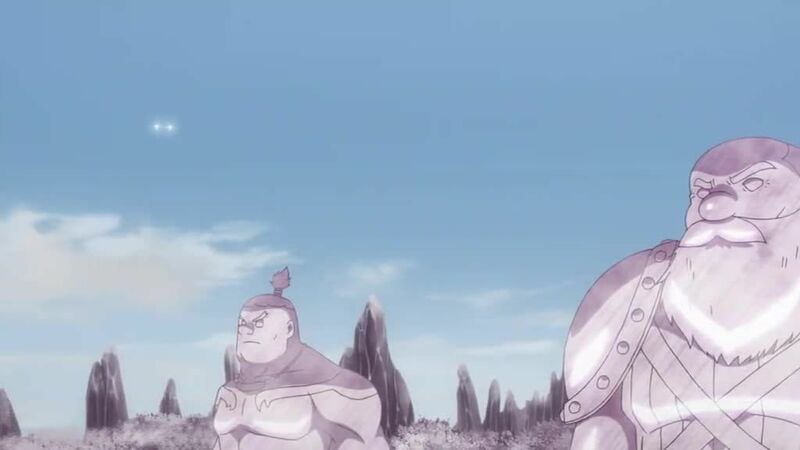 While panicking, Gray hears Ultear’s voice encouraging him and regains his composure, preparing himself to fight Doriath and save the village.